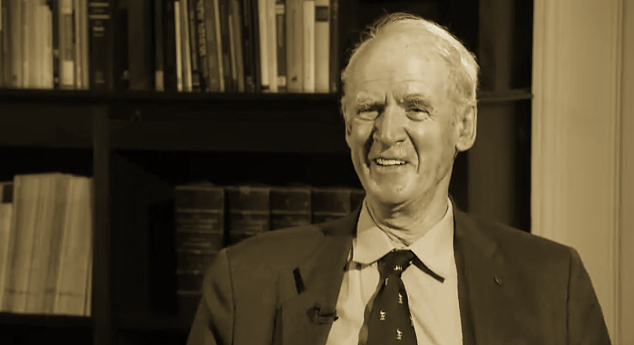 In the following interview for the Templeton Prize Laureate series, Professor Charles Taylor speaks about his work in Secular Age and its thesis that there isn’t just one modernity but multiple ones emerging from different cultures and different forms. Trying to understand why modernities can emerge so differently across the world, Professor Taylor argues that we need to turn to what has been called the “Axial Age” — an expression introduced by Karl Jaspers referring to the beginning of a period in which radical changes occurred across civilizations more than two millennia ago that saw the emergence of revolutionary thinking in figures like the Buddha in India, Confucius in China, and Plato in Greece, in ways that were similar but also importantly different. The argument is that trying to understand the differences and the similarities between modernities requires an understanding of this Axial Age. Much of Professor Taylor’s work has been in exploring the modern narrative in the context of the Axial changes that have affected the Greek and Hebrew traditions. What is distinctive of Axial Age is at least two features: the first is the idea that there is a greater good beyond one’s own personal and tribal flourishing, and for which the divinity was in favor, and second is the opening of space for individual devotion, the emergence of the “individual mode of life” of the wise man, the monk and or the philosopher. What was produced in the Axial revolutions was a “compromise” with the pre-axial religious horizons that had focused on human flourishing through prayer to God that were not concerned with human lives. While civilizations have been held together through ritual, higher aspirations of the good and albeit even with some inner tensions, Professor Taylor argues that what happened to Christendom were impactful reform movements that unsettled those relationships by making the “higher set of axial goals the whole thing” and ridding of itself what became the merely magical and superstitious enchanted world — a process that has been for the Greek and Hebrew traditions a disenchantment. What has been referred to modernity in these traditions in the West has been achieved through processes of self-formation, self-discipline, a development of privacy and an increased power of the individual in society — the sources of our sense of mastery over reality and the universe. The interesting question, contends Professor Taylor, is whether this is a model of the development of modernity as we have understood in the West — and its discipline as well as disenchantment — are a requisite for secular modernity and the close correlation with democracy elsewhere in other cultures. The emergence of democracy in cases like India upsets our own established understandings about this development. It is difficult for us to see how you can have democracy without those disciplines for citizenship and disenchanted secularism. Yet this is the case.